fusionZONE Automotive has several exclusive tools designed to convert leads into sales. With the highest conversion rate in the industry, we will double your leads guaranteed! Through our FastRing and FastPrice lead-generation tools, you can contact customers in under 6 seconds and generate competitive pricing instantly on your customer’s screen. You provide fusionZONE Automotive with your dealership pricing structure. This will be the lowest amount displayed. The customer will browse your dealership website and then submit a request for the best price. Our system will crunch the numbers and display your best price instantly on screen and send you the lead. With consumers spending more and more time shopping online for a vehicle, demands for information has changed. Potential customers expect to get the information they want in real time. The days of car dealers withholding prices from potential customers are a day of the past. Consumers make online price requests and expect the information to be delivered to them in a timely manner. Unfortunately, many potential customers will leave a dealership website because they had to wait a long time to get the information requested and oftentimes, customers never receive the information at all and go elsewhere. How long does it take your dealership to respond to a price inquiry? If you didn’t answer instantly, then you need our FastPrice tool. FastPrice gives you the fastest response time in the industry. Face it, you can’t get a faster response to the customer, than instantly! FastPrice gives your potential customer the information they want on the spot! Your potential customer is given a price instantly. FastPrice can be customized and programmed to give consumers more options than just the information they requested. For example, many dealerships use FastPrice to display new car alternatives or even a Certified or Pre-Owned option, in addition to the information and price they requested. Our dealer clients are getting 100 to 400 percent more leads with FastPrice. Consumers are satisfied and getting the information they requested in real time. Dealers are converting more leads to sales! Customers submit a lead from your website or 3rd party vendor, and our system goes to work. 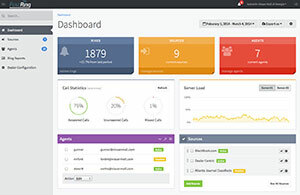 FastRing instantly connects your staff to the customer while they are still browsing your website. Your staff talks with the customer, answering questions and scheduling appointments! Respond quickly or fast-moving Internet Shoppers will be gone. You can be the first to respond by integrating FastRing into all your lead sources. Over 90% of research is done online. You no longer have to lose customers to your competitors. FastRing connects your dealership instantly with the customer while they are still browsing your website. Our service allows your dealership to engage customers faster than the competition. If you are the first to interact with your potential customer, market research has shown that they are more likely to purchase from you. We provide instant connections between your dealership and your customer in real time. We don’t like to toot our own horn, so we have compiled a short audio clip of actual calls, using our FastRing tool, for you to hear. We think it speaks for itself. We have created an extensive administration portal with 24/7 access to your call data. Here are a few of the many tools that you will find available. Listen to the entire call again or download a copy onto your computer for review or training. As schedules change so can your system. Just log in and update your agents 24/7. Review the latest call trends in real-time. See what’s going on in your dealership right now. Instead of just ringing one agent, you can set up your system to call groups of agents. Easily add new sources for your dealership as they become available. Our system verifies all phone numbers, prior to dialing, so you won’t waste time with false leads. Our team will setup chat scripts, unique to your dealership, that will be used to interact with your customers. Our chat team will proactively chat with customers and answer their questions 24/7. Once the chat is complete with the customer, the agent sends the lead directly to your CRM. 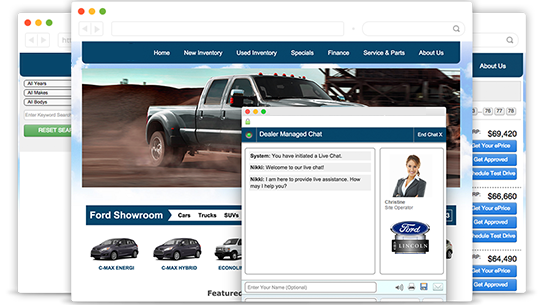 fusionZONE Automotive’s 24/7 Live Sales Chat support changes a dealerships static website from informational to conversational. We developed a measurable way to convert more of the existing website traffic into leads. Why spend more money to increase traffic when you can convert a higher percentage of the thousands of visitors you already have? We have a proven way to convert visitors into quality leads! Our 24/7 Live Sales Chat approach is very similar to the automotive dealerships approach. We promptly greet and welcome all visitors, build rapport, answer product specification queries while getting the important information needed for our dealer client’s staff to close the sale. Sales process and correct execution are important aspects for dealerships to sell cars, and the same is true with online visitors. We have developed proven influential scripts, after tens of thousands of chats, and deploy them at just the right time to capture the lead. The more leads captured from our dealer client’s website traffic, the more cars they will sell. Our proactive 24/7 Live Sales Chat solution will improve a dealerships current website traffic conversion rate by as much as 60%. Our approach is the key to our success!